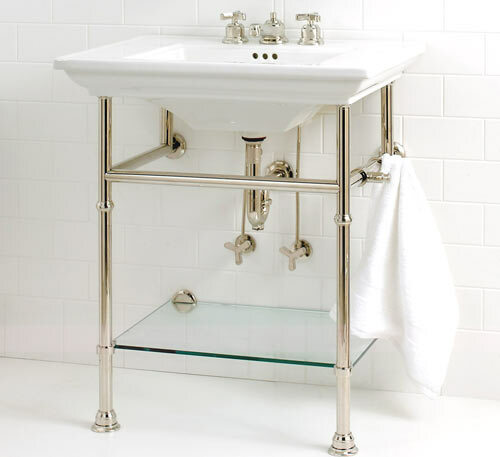 The sink is an essential and key component of your bathroom. The possibilities are endless. You may choose from stainless steel, fireclay, china, porcelain, cast iron, copper, granite composite and even wood just to name a few. You may find it difficult to decide what is best for you. When looking at your options, take into account the use that the sink will get. Is it going to be in a high-traffic area, or is it in a powder room for guests and occasional use only. Many times you can go with an undermount sink in a classic oval. Some people may want to have a little more to the sink and want it hand painted, or a vessel sink, or a wading pool. This means that half of the sink is in the countertop and the rest is on top. This provides the look of a vessel without going the full height of a vessel sink. It really depends on the style of the bathroom. The days of the bathroom being merely functional are long past. Now it is an important part of home décor. When someone walks into the bathroom one of the first things they notice is the sink and the faucet, which are the accessories of the home. A new sink and faucet can also improve the look of a kitchen Island, wet bar and even the outdoor kitchen area. There are island sinks that look like a winding river flowing downstream. Sometimes people use the island sinks as ice chilling areas when entertaining. They fill the sink with ice and put in sodas, wine and beer; some have even used it at a serving area for shrimp cocktail to keep it chilled on ice! So, think outside the box and use your sink for things other than just to wash things in.